Looking for ways to improve your home in Naples or Fort Myers? Did you know that making your windows more beautiful, could actually SAVE you money in the long run? 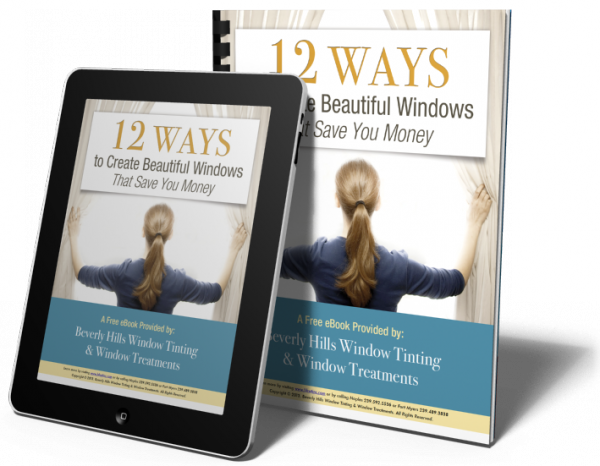 Over the past few months, We’ve given you some valuable info about custom window treatments from our latest eBook called “12 Ways to Create Beautiful Windows That Save You Money”. Simply click the icon below if you’d like to download your free copy. Otherwise, read on and I’ll recap all of the material covered.